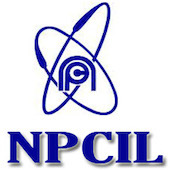 Online Application Details for Nuclear Power Corporation of India Limited NPCIL Recruitment of 3 Stipendiary Trainee / Scientific Assistant and 4 Stipendiary Trainee / Technician is given below. Application form and duly attested documents are to be sent to Deputy Manager(HR), NPCIL, Kakrapar Gujarat Site, PO-Anumala, Tal-Vyara, Dist. Tapi, Gujarat-394 651. In envelope super scribed with 'Application for the Post of Post Name'.